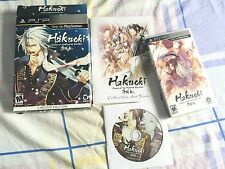 Item name:Hakuoki PSP Limited Edition (English) - Game Box (with dent) - Game Cartridge (has flaws, please see photo) - Game OST CD. Price:Complete set is P2800. - Artbook. The Fink Toys Bioshock Infinite Songbird Sentinel Of Our Fair City. Bought on release and NEVER OPENED. New in box. Thanks! This is a very cool Nintendo Super Mario and FLUDD plush boy made by BD&A. A great Super Mario plush toy to add to your collection. Vintage 1995 Topps Sonic The Hedgehog Bubble Gum Container Candy Sega Sealed 3.5. Shipped with USPS Priority Mail. Very good pre-owned condition. There is a very small bleach dot on the underside of the forearm sleeve. The actual color of any item may appear different in person, depending upon your computer or phone settings. 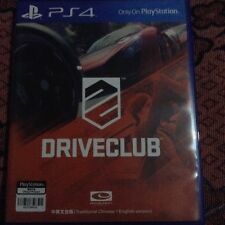 You will get the item listed in the title and shown in the photos. They have not been used. Skyrim inspired Skeleton Key prop! This key is about 8.5" tall. Made in resin and fully hand painted. 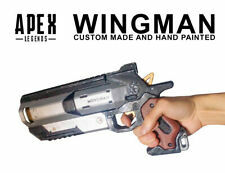 Ideal as a cosplay prop or as a decorative replica. 32cm x 18cm x 5cm. The Finished Job of this Signs are spectacular. This item features a 3D printed body built around a reusable glass jar. The lid for the jar is built into the design, so you can drink from it and reseal it as needed! Take it apart, wash it, and reuse again! Simple design. Has an embroidered Sonic on front. Sleeve has a 25th yr patch. This jacket is now retired. Jacket is in like new condition. Its unisex. Pit to pit 25”. Skyrim Alduin's Wall Belt Buckle. 8 х 5 сm, thickness 0,3 cm, good for 3,5 сm belt. Any colors can be used ! Have a different letter style in mind for your custom sign ?. Want a smaller chug jug?. We designed a smaller chug jug that holds 8 oz of liquid and is a little more practical to carry around a convention with you. This item features a 3D printed body built around a reusable glass jar. Have an idea for a sign ??????. Luigi Bobble Head 2001 Super Mario Bros Rare Licensed Nintendo. Shipped with USPS First Class Package. From Assassin's Creed II: This sword breaker dagger is made from high carbon steel and features a leather, wire-wrapped handle. Blade: 11-1/2". Discontinued by manufacturer. Minor dents on cover, otherwise excellent condition (see photos). Arno Figurine from Assassin's Creed Unity Collector's Edition. This item is unopened and in great shape. Blizzard Floating Lit Spinning Collectible usb charger: Employee Gift 2018. This one has never been removed from box and or packaging. Brand new in box! The hexagon shows the Blizzard logo on the top and six games on the side: Overwatch, Diablo, World of Warcraft, Starcraft, Hearthstone, and Heroes of the Storm. When floating above the base, all of the logos light up. A gentle push will send it spinning. On the base of the statue there are eight shields showing the company values, like Play Nice, Play Fair. The statue also functions as a USB charger The base is just under 8” in diameter. Includes plug in power connection. Godzilla Ultraman Kamen Rider Jet Jaguar 1.5 inch soft enamel 8 pin set! The Godzilla pins are of Jet Jaguar and Minilla! 8 pins in all! Each pin is limited to 150, so once they are gone, that's it! All proceeds from the sales of these pins will go 100% back to the event to keep it and the pins going! You are purchasing a very unique and durable Mortal Kombat Inspired mask. This mask is rocking the colors of one of the most popular characters: Reptile! Everybody's favorite acid spitting ninja. So you piece will always be one of a kind! This item features a 3D printed body built around a real (new) plunger. Sorry, it doesn't fire plungers and can't assist you in doing any crazy trickshots. it just looks cool! Pokemon White Version 2 Nintendo DS Teaser Box Promotional Display Approx. 12"
This is a very rare item from gamestop. This is the display box for preorders of the game and after game release they are thrown away. It is in mint condition. Lot Of 10 Super Mario Nintendo Plush Bomb . Shipped with USPS First Class Package. All plush in almost new to gently used condition. Great lot! Like New. Very lightly used. Artwork of Assassin's Creed Brotherhood. From Assassin's Creed Brotherhood Collector's Edition. Used Item in good condition, minor scrapes due to display. Works great (this item has no sound).